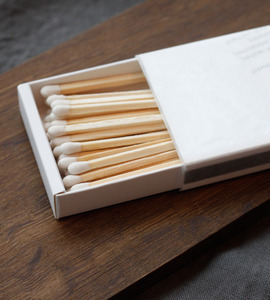 I don’t even smoke cigarettes, but I get ridiculously stingy-giddy when I enter a restaurant and the host desk displays a bowl of matches, boxed wooden ones being the ultimate to covet. The sharp snap and the warming smell of burning wood tinged with the love-or-hate delight from sulfur fumes. I’m a lover, always have been. The strike of a match or a burning wood fire always stirs a memory of some kind for everyone, every.one. That’s what smells do, illicit times and places. Matches are tiny tangibles that linger longer than the scent. 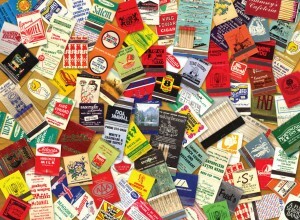 They are labelled reminders of places we were, people we were with, or even other countries we visited. Haven’t you written on one the date, or even your number when you met someone? They have much more weight than a restaurant wanting you to remember its brand. An early childhood memory: my mother had an oversized bourbon snifter glass, we’re talking 1 foot high and wide. It sat in front of the fireplace and was filled to the brim with matchbooks and boxes she had collected over the years. Restaurants, clubs, bars, lounges, airlines (when you could smoke in them), limo companies, and any and all places you could once procure from, my mother did…and had been since probably the late 70’s. Bowl of bounty. In the same corner of my mind where I have this memory stored, our apartment caught on fire; and this place was the last time that container existed. She also vividly and sadly remembers that bowl when i bring it up to clarify, as i was 8-9 years old at the time. For many years after, the smell of a fire angered me. It didn’t matter what was salvageable afterwards, because everything smelled like smoke. Since young kids are brutally honest and terribly cruel, I felt tormented and embarrassed over it at school. And now I remember, we lived in a hotel room and got help from the Red Cross. Matches have never been just a little flame.